Content managers and site managers can access a content overview that displays events, topics, books, landing pages, and basic pages, and even includes a comment overview in the platform. 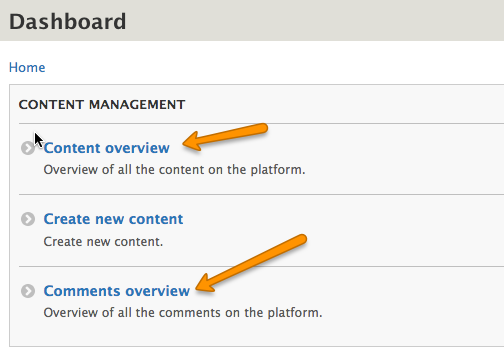 Content managers can reach the content and comment overview via the administration menu. Site managers can reach the content overview and comment overview via the site manager dashboard.